Guaranteed high performance for your applications. In the world of online business, security is no longer an optional feature when every second of downtime is translated into loss of revenue and disrupted workflow. 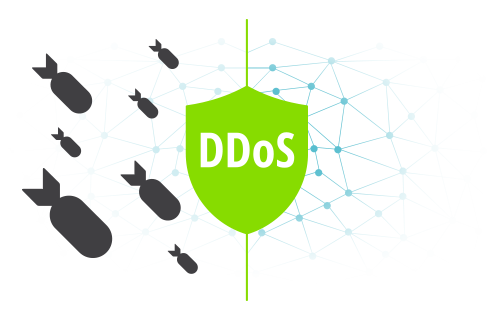 DDoS attacks can bring any website down and render it useless, therefore a good DDOS Protection System is an important part of any security solution and must be carefully chosen by companies with a presence online. Through our DDoS Attack and Intrusion Prevention Solution, we can protect and mitigate DDoS threats targeting any type of online service while allowing the legitimate traffic to pass through. Using a reliable network backbone and cutting edge modern traffic inspection tools, we have created an affordable hybrid solution through cloud and hardware based mitigation systems. Choose one of our Dedicated Server solutions! 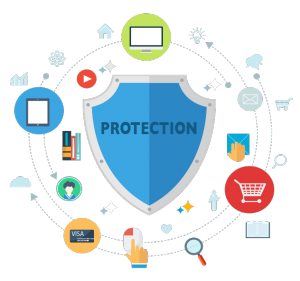 Deploying our protection without extra hardware or software and with instant setup, this enables customers to easily secure their business and increase availability without being exposed to additional single points of failure. Cloud based defense techniques involve the use of collaborative security and response tools, aiming to block illegitimate traffic before it reaches the target, ensuring 99.98% uptime guarantee. Our DDoS Protection services are supervised by a dedicated team of experienced IT engineers, ensuring 24/7 support and real-time monitoring. We are so confident in the effectiveness of our DDoS protection system that we have a full refund policy guarantee if you are not satisfied with our services. Our sales representatives can assess and design a hosting solution that helps our customers reach security and performance requirements. There is no setup fee for any of our hosting packages, allowing our technical team to create advanced and reliable hosting solutions suitable for enterprise usage. We will install and deliver every order in maximum 24 hours from payment. 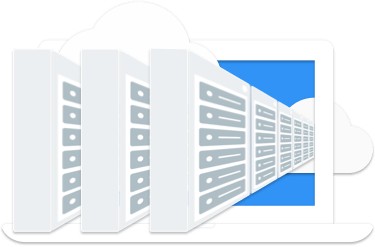 Our hosting platform makes it easy for you to build applications and websites on a fast and reliable service designed to support heavy enterprise workloads. IPV6 Read! We offer native IPv6 on our entire network infrastructure and each of our Dedicated server has IPv6 enabled. On top of that, we offer a free /64 IPv6 subnet for every server. We use same technology that is built for security by Google security chip called Titan to provide this root of trust. 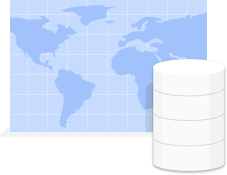 Our Support® team will migrate your existing data to your new server. Each 1Gbps Unmetered shared bandwidth. You can absorb isolated traffic peaks using a burst of up to 500Gbps. Order additional bandwidth if you need more capacity. Because problems can arrise at any hour our technical experts are online all the time to assist our customers. We can replace hardware immediately using our large stock of enterprise servers and spare parts available on-site at our Data Center. In the event of a failure, we will replace the failed hardware within 60 minutes or less. All our MulakiHost dedicated servers are fitted with a powerful anti-DDoS protection that ensures maximum infrastructure security. We deliver every dedicated server within 2-24 hours, once the order is complete and the payment is confirmed. Our IT experts are available 24/7 live at our data center, for server delivery and hardware upgrade. Our experts are ready to advise you on any subject – from the preparation of IT-infrastructure to the architecture of your project. We offer native IPv6 on our entire network infrastructure and each of our Server has IPv6 enabled. On top of that, we offer a free /64 IPv6 subnet for every server. MulakiHost is specialized in providing dedicated server hosting, server rent, web designing, business email, startup solutions, enterprise solutions, cloud solutions. Copyright © MulakiHost LLC. All Rights Reserved.